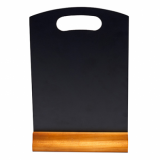 Display your specials or wine list with the useful A5 hand held menu board. 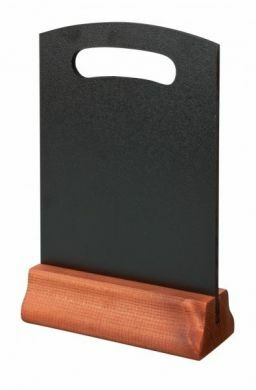 This board is suitable for use with both chalk and liquid chalk pens and comes complete with carry handle and redwood base for table top use. Hand held A5 size notice board.